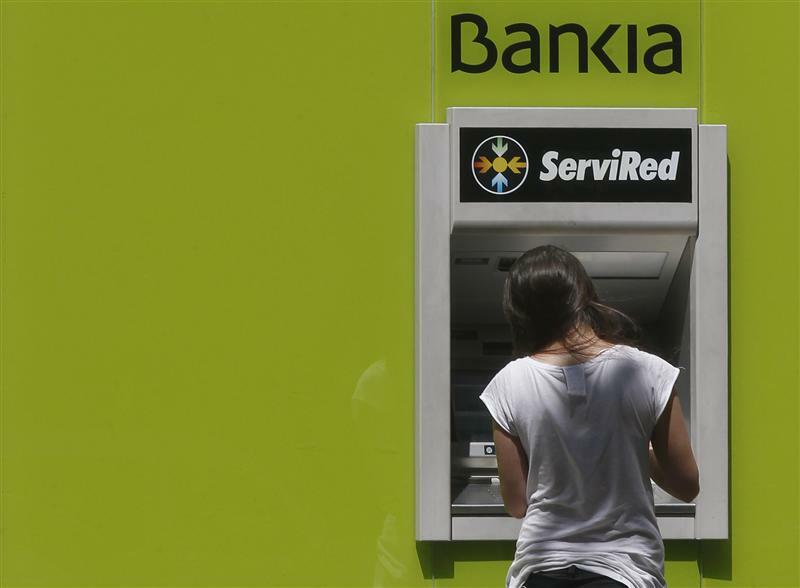 Bankia will face its day of reckoning at last. Spain’s parliament had disappointingly declined to investigate the events that led to the Spanish lender’s spectacular 23.5 billion euro bailout. But after a suit launched by one of Spain’s smaller independent parties, the country’s High Court has launched a high-profile fraud probe, meaning that bank’s former board members will have to face the music. At the top of the list is ex-chairman Rodrigo Rato, former conservative finance minister and head of the International Monetary Fund. This is a welcome step towards a necessary Spanish banking cleanup. No specific charges have been brought against these executives yet. But the 49-page document is seething about Bankia’s bailout, just months after its stock market listing. The judge says there are grounds to investigate, among other things, whether executives falsified the true state of Bankia’s accounts both before and after the IPO in July 2011. He also mentions political meddling, dubious investments and fat pay packages. The case should clarify whether fraud or mere incompetence was at the source of Bankia’s implosion. The savings banks that formed the bank had sought to list the supposedly cleaner entity (Bankia) while leaving some of the more toxic assets in the parent (BFA). The idea was to separate the banking business from the contaminated parent. But the fall in Bankia’s value (driven by fears over dud properties) made the whole structure vulnerable, as did over-valued tax credits. High profile characters will now be forced to explain what happened. The former governor of the Bank of Spain will be called to testify, as well as the auditors and the head of the stock market regulator. More may be implicated. Many of BFA-Bankia’s investment decisions were taken before Rato’s time. Bankia’s army of IPO advisors, including investment banks, shouldn’t escape scrutiny. The 347,000 new investors in the IPO have already lost three-quarters of their investment. The Bankia case will hopefully lead to probes of other bailed-out banks. These weren’t publicly listed, but their gullible retail clients are still stuck with billions in illiquid preference shares. No wonder the public is baying for blood. At the very least, the country will get a clearer picture of how the world’s “most solid” financial system, in the words of former Prime Minister Jose Luis Rodriguez Zapatero, helped bring a country to its knees. And those responsible may be held to account. Spain’s high court has launched a fraud probe into 33 former executives and board members pf Bankia-BFA, the bailed out Spanish lender. The probe includes the current chief executive Francisco Verdu, the only surviving executive from the savings bank’s prior management, who quit a few hours after the accusations were made public. The lawsuit was brought by one of Spain’s smaller political parties, UPyD, and accuses the former executives, including chairman Rodrigo Rato, of fraud, falsifying Bankia’s accounts, and price-fixing. The ex-governor of the Bank of Spain, Miguel Ángel Fernández Ordóñez, will be called to testify along with the head of the stock market regulator, Julio Sanchez Segura.